Should mental health benefits equal medical benefits? More than 30 million Americans suffer from schizophrenia, severe depression and other mental disorders. 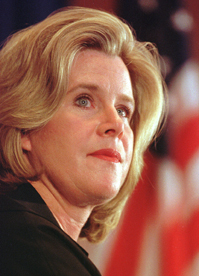 Several years ago, Tipper Gore revealed her struggles with depression. Now, recent events such as the murder trial of Andrea Yates, who drowned her five children, and the Oscar-winning movie “A Beautiful Mind” are again raising the public's awareness of mental illness. Historically, employers' insurance has paid much lower treatment benefits for mental problems than for medical illness. Congress is considering broadening the federal law requiring equal treatment — or “parity” — in health insurance. But conservative lawmakers and business lobbies claim the cost of parity is too high.